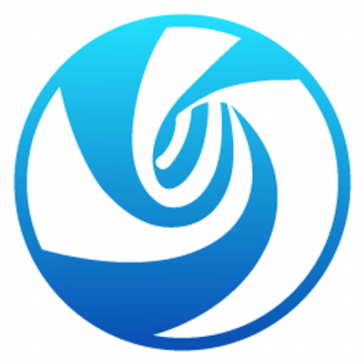 deepin is a Linux distribution committed to providing an elegant, user-friendly, safe and stable operating system for users all over the world. "Deepin isn't too difficult, it's just a different learning curve"
It's a well designed and easy to use Linux once you understand it. It is pretty stable. It may not be easy to configure as a desktop but as a system it definitely is. It is based off of Debian. I believe it was formerly based off Ubuntu and provides many of the same benefits, also allowing you to install much of the same products and packages that were made for Ubuntu and Debian. All in all, a really good and eye pleasing system! The update speed is super slow and also especially when it comes to software downloading and installing apps. You basically have to go and manually set the correct download mirror. Since it's made in China, you'll notice certain instructional sentencing glitches as well. If you can get over the impatience of having to wait for its load times, you should be good. We had been using Deepin as a DDE across all of our in branch personal computers and network servers. The desktop environments were relatively simple and not complex. A lot better than using windows. "Good Looks and awesome performance"
It is the one of the better Linux OS Version I have seen compared to many others I have used. The ease of animations and UI is awesome. When you typically use Mac and also use Deepin side by side it almost feels the same. The OS has rich colors that make it more interactive. I also develop Android and iOS applications, compared to mac it takes some time to run heavy tasks like gradle build in Android Studio. But yes it is faster than Windows for sure, but if thread management has been improved than it can give more faster results. If you looking to go for a beautiful Linux to move to I would recommend this Operating System only. It really has great look and feel. Whenever I need to use Linux based operating system for my certain operations then I always move to deepin. It has the same features and flow like Mac so I don't have to worry too much to change the operating system if switching from mac. I like the Deepin Environment, it's simple and very attractive designable. Deepin OS is simply speaking, just beautiful. It has clear desktop with launcher. Enough configuration to handle standard use cases without an intimidating array of extra choices. This is one of my go-to recommendation for new Linux users because it's friendly and supported like Ubuntu while using a good, distinctive but also traditional DE. It is not very much stable like ubuntu operating system. if we installed high memory application or software then sometimes it will not save data. It has sometimes graphic card issues with my dell laptops. Deepin is simply amazing to use. It is more attractive and it has more animations so i loved to use this operating system. it has clear desktop with launcher so we can easily go whenever we want to go. With Deepin operating system i can work smoothly on android studio like on ubuntu os. It has more attractive design and animations then other linux based operating system. "Awesome OS with excellent UI experience "
It's everything but fews are best like they provide doc like mac which is very useful in daily basis, control centre from which I can find almost all controls and window animation. There are few issues as well which they need to fix as early as possible like graphics card issue and some times OS just re-start when we load heavy application like Android Studio without saving current data. Like my major issue of work fast is fixed like I can organised most of my work easily and efficiently. Their default doc application is better than others so it really solve doc alignment issue. "Best experience in linux based os"
I feel like this is best operating system in based in linux os. The animation and smoothness are its plus point. Thread management is weak point in this os. overall multitasking and speed in task but problem with thread sharing. Best linux based operating system. if you install it once then you will fan of this.Simply amazing and attractive.The default animation is also too good so you don't need any other plugin for animation. I can work smoothly and faster than other linux based operationg system. The animation and speed is quite good, and user interface is also attractive. "Most attractive and smooth Operating System"
Deepin is a great lookalike of MAC OS. The UX and animations are very smooth and the dock and control center are easy to use from anywhere. Window animations are also delightful. Though deepin is based on linux, some apps such as media player like VLC does not tend to work as smooth as Ubuntu. There's slight framerates lag while watching a video. We are using Deepin for as platform for developing Android and Flutter apps using Android Studio. Android Studio works very well with Deepin as it is a linux app. "Deepin, a nice looking and intuitive os to use"
The customization in Deepin is a bit hidden, so you need to search a little before you can do something. The integrated applications store also have some outdated packages. Deepin is based on linux and linux is a really good system to product and deploy web applications. Faster development and deployment since you work directly from the system you will be using in production. "OS with the best look and feel"
Deepin is one of the best linux OS to provide a beautiful and rich UI with animations. It does look like a MacOS. Some heavy duty taks are not handled properly by Deepin. For example, running Android Studio with 4GB ram sometimes leads to unexpected restart. Deepin has a greater UX and it is likely to be adapted by more users in future. "Operating system that is off the normal radar"
The best part about it is that it is a free operating system. Not having to pay a licensing fee. It is not as well put together as a windows operating system. Not having to pay a licensing fee on operating systems is a relief to any business owner. "Best os out right now"
* We monitor all Deepin reviews to prevent fraudulent reviews and keep review quality high. We do not post reviews by company employees or direct competitors. Validated reviews require the user to submit a screenshot of the product containing their user ID, in order to verify a user is an actual user of the product. Hi there! Are you looking to implement a solution like Deepin?